70 Kilometres. 18 Portages. 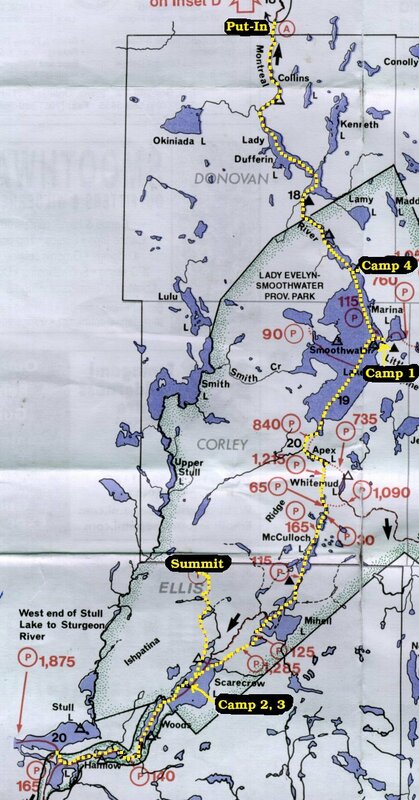 Four nights in the wilderness, and Ontario's highest point. A good introduction to canoe tripping. Organized by Chris Lawson. Chronicled by Markus Wandel. Overview map for the whole trip (also available without annotation). Detailed topo map segments are available for each day. Here is a Google Maps Satellite view centered on the put-in location on the Montreal River. 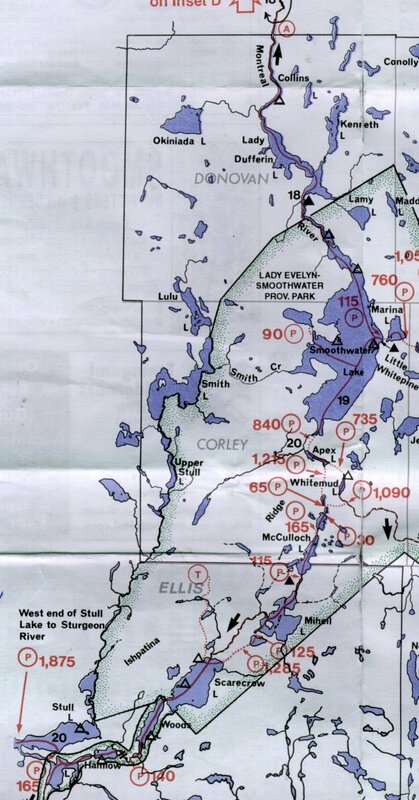 Scroll down to match the lakes visually to those on the overview map, or switch to the regular map view to determine how to get there (the turnoff from highway 560 is called Beauty Lake Road). Chris has his own writeup about this trip.